The focus on U.S. immigration activities has urged Americans to explore The Fugitive Slave Acts of 1793 and 1850. Ken Isaacs, an executive with Samaritan's Purse, a Christian charity, was caught having sent tweets,which said Islam wasn't inherently a peaceful religion. Three signs you should keep your job and three signs you shouldn't. The Every Student Succeeds Act (signed by President Obama on December 10, 2015), speaks specifically to parent and family engagement. Twenty-five years later, as the congregation celebrates its silver jubilee, Cheeks reflects on how the church's inclusive mission has held steady and how other Christians have developed more inclusive hearts. Vendors will have an array of goods and the food tasting segment will feature African and African-American cuisine. 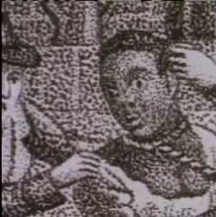 The 1793 Act imposed a penalty on any person who helped harbor or conceal escaped slaves. The focus on U.S. immigration activities has urged writers to explore The Fugitive Slave Acts of 1793 and 1850. Anis Shivani wrote in Salon, for instance, "It's hard to say whether President Trump will pass his own version of the Fugitive Slave Act." When Port Of Harlem posted on Facebook a tweet by Ronald Klain, who served as President Obama's Ebola response coordinator, we questioned our Facebook followers whether they thought the current president's actions were similar to the infamous Act. Klain had tweeted: "If Trump can deny due process to those allegedly here unlawfully, ICE can grab YOU, allege you aren't a citizen & deport you w/out a hearing." Later he famously responded, "To everyone who has tweeted back, ‘Not me, I can PROVE I'm a citizen' -- you miss the point. Without due process, who will you ‘prove' it to? Where will you show your proof? A right to a hearing / judicial review protects ALL of us." So are the current president's proposals like the Fugitive Slave Acts? 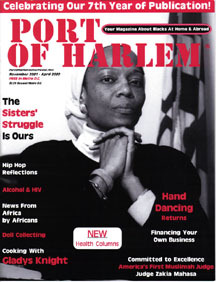 Three Port Of Harlem contributing historians, Morgan State University Archivist Dr. Ida Jones, Port Of Harlem contributor CR Gibbs, and Marvin Jones of the Chowan Discovery Group are not in love with a direct connection. "The enslaved never had due process. The immigrants are being denied access to due process," Ida Jones clarified. She concluded, historically "It's a stretch, but could be a link." 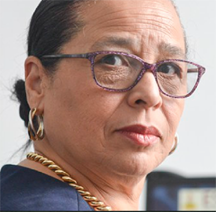 However, just like in the movie "12 Years A Slave," where Solomon Northup, a free Black, whose skin was an indictment that he was an enslaved person and was sold into slavery, Ida Jones says, "now speaking Spanish will be an indictment of non citizenship." According to the New York Times, "Courts have consistently held that anyone on United States soil is protected by the Constitution's right to due process, even if they illegally entered the country, though people generally have greater legal protections inside the country than at the border." 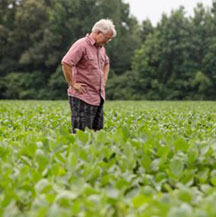 Gibbs added more historical context, "While I can understand the dramatic connection with the Fugitive Slave Acts (1793 or 1850), these laws, in my view, revolved around the return of people considered nothing more than legally mute, impotent property. Due process for an enslaved person was not considered applicable because he or she had no rights in the first place." It was the 14th amendment (see below) that gave African Americans due process. Ida Jones concurred with Gibbs, "There is no comparison between enslavement and the immigrant crisis. Enslaved Africans were not legally considered human." Gibbs emphasized, "This legal fact was made unmistakably clear in the Dred Scott decision (1857) when the Court ruled that Black people had no rights Whites were bound to respect." In a Los Angeles Times Opinion piece, Harold Meyerson, executive editor of the American Prospect, also seemingly saw linking the two as a stretch, but he wrote, "it takes no leap of logic or imagination to find the rhymes." He continued, "Just as the slave catchers argued, speciously, that freed Negroes imperiled the antebellum North, today's anti-immigrant forces, beginning with Trump, argue that immigrants pose a threat to public safety, though crime has fallen precipitously during the past quarter-century." Marvin Jones, however, says he hears too many complaints and would rather focus on the "direction of action rather than the injustices." He would like to see more people invest their time and money in supporting a diversity of groups that fight injustices such as the NAACP, National Organization of Women, Emily's List, the Democratic Party, La Raza, Council for American Islamic Relations, the Human Rights Campaign, and others. "Five dollars a month from so many of us make great differences, and these organizations' websites can handle your donation," he says. NOTE: 14th Amendment, Section 1 of 4: All persons born or naturalized in the United States and subject to the jurisdiction thereof, are citizens of the United States and of the State wherein they reside. No State shall make or enforce any law which shall abridge the privileges or immunities of citizens of the United States; nor shall any State deprive any person of life, liberty, or property, without due process of law; nor deny to any person within its jurisdiction the equal protection of the laws. Four Minute Video on the Fugitive Slave Act and its impact on Blacks and non-Blacks. 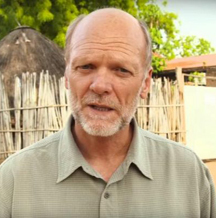 The United Nations rejected Ken Isaacs, an executive with Samaritan's Purse, a Christian charity headed by Franklin Graham, son of the late Rev. Billy Graham. Franklin Graham also supports the current US President. "The Special Rapporteur wasted the UN's time and resources, deflecting attention from the world's worst human rights abusers and focusing instead on the wealthiest and freest country in the world," said U.S. Ambassador to the United Nations Nikki Haley as she dismissed a poverty report by the United Nations. She called the report that analyzed American poverty "ridiculous." Just as the current US administration withdrew from the United Nations Human Rights Council saying it's anti-Israel, Haley was not pleased how the report highlights the wealth gap between the few Americans with immense wealth and the more than 40 million people living in poverty, including millions living in what the report describes as "Third World conditions of absolute poverty." Sen. Bernie Sanders (I-VT), Rep. Terri Sewell (D-AL), and 18 of their fellow legislatures including Rep. Yvette D. Clarke (D-NY) signed a letter urging the current administration to provide Congress with a strategy to act on suggestions made in the United Nations report. They also agreed with the United Nations findings that the Trump administration's $1.5 trillion in tax cuts "overwhelmingly benefited the wealthy and worsened inequality." Days later, for the second time since 1951, the world body denied an American to lead the body's migration agency. The current administration's nominee, Ken Isaacs, an executive with Samaritan's Purse, a Christian charity headed by Franklin Graham, son of the late Rev. Billy Graham, was caught having sent tweets, which said Islam wasn't inherently a peaceful religion. "Yet another sign that US power, authority, and prestige has been so dramatically diminished," tweeted Keith Harper, who was the Obama administration's ambassador to the rights council. Graphic source: Tee Shirt Palace. Growing up I was taught by my parents to get a job and keep a job. Period. It was ingrained in me that once I graduated college, I needed to land at a good company and stay there. The big reward would be retirement at 40 years with a fancy company pen and pension. This was my mindset for years. It's what was expected of me, and it is what I aspired to do. Ultimately though, the longest I held out at one company was 14 years, thank you very much. I was on a roller coaster with highs of success and excitement to lows of frustration and disappointment. Yet, with dogged determination and loyalty I stuck it out. I was supposed to right? Wrong. By staying, I denied myself the opportunity for even more growth and opportunities. Staying was comfortable (even in the hardest times), but it wasn't always productive. If you notice that your company isn't doing anything to develop, train, or promote you, it is a sign that it may be time to go. This is twofold. First, it shows they have little interest in your future and how you contribute to the organization. Second, your professional growth can be hindered if the company does not actively develop or promote within. This deficit can create frustration on the employee's behalf and it shows that the company is not invested in their people. 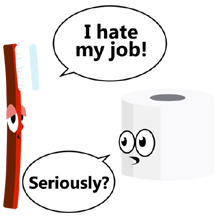 We all go through periods where our jobs are miserable, or we are just flat bored. Getting out of bed can feel like a chore itself. If you are not mentally engaged in what you are doing for a living, don't wait too long to make a change. Staying in a role you find completely uninspiring will do a number on your self worth and will be detected by your manager. When you feel this stagnancy or boredom linger, it is a sign that it is time to go. Give yourself the chance to find something new that will interest and inspire you! Employees stay in their jobs if they actually like their work environment. If they have a good boss, work-life balance, and consistency, they will stay for a while. But, if these components are not present, most people will jump ship. If you see your respected colleagues leaving right and left, know the issues are most likely systemic. This is a signal that it is time to find a new ship that is sailing in the right direction. This is the sweet spot, 12 months. Say you get involved in a job that you don't feel is a right fit or you wish you didn't take, do your best to make it last one year. Leaving at 6-9 months can look questionable to your next employer. Staying 12-18 months, even if you want to go, will show stability and that you were dedicated to this period of your career journey. In today's environment, there is a lot more freedom of choice based on social acceptance of job hops, which can work in your favor. If you find you are in disengaged or perhaps indifferent, don't waste anymore time. Assess your current professional situation and don't be afraid to ask yourself if you should stay or if you should go. 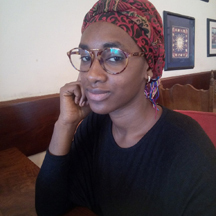 Primas is a former contributor to Port Of Harlem magazine and currently the program manager for The National Newspaper Publishers Association's Every Student Succeeds Act Public Awareness Campaign. The National Family Engagement Summit of 2018 was held in Richmond, VA recently. Throughout the summit, multiple opportunities were provided for attendees to interact with some of the nation's leading experts in parent and family engagement. Participants came from near and far. Over 300 teachers, parents, administrators, and community activists participated, presented, networked, taught, and learned strategies to increase family engagement. One presenter described the difference between involvement and engagement as the level of commitment, stating, "It's like you've got a ring on it! You're not just passively attending a few parent-teacher meetings, but you're planning, making decisions, running for the school board, and more." The Every Student Succeeds Act (signed by President Obama on December 10, 2015), speaks specifically to parent and family engagement. Data highlighted examples of the successful impact parents can have when they are present in their child's school. One presenter pointed out that, "Parents tend to be extremely involved with students in the early elementary grades. They bring them to school, speak with the teacher frequently, and are more likely to volunteer for field trips, classroom activities, and attend parent-teacher meetings." However, around the third grade, parents start to reduce their involvement. They attend fewer meetings, volunteer for field-trips and other events less, and seldom spend time in the building. In some cases, they may have only met the teacher just once. Because of our association (with Inner Light), "I received a lot of backlash from other preachers," recalls Pastor Anthony Moore of Carolina Missionary Baptist Church. Back in 1993, amidst the rancor over the acceptance of openly gay men and women and the furor surrounding the emerging HIV crisis, Rainey Cheeks helped birth Inner Light Ministries. "Inner Light Ministries has always been an affirming church, which means all people are welcome. We are an inclusive and diverse community that follows the teachings of Christ," confirmed Bishop Checks about the Southeast Washington, DC church. Twenty-five years later, as the congregation celebrates its silver jubilee, Cheeks reflects on how the church's inclusive mission has held steady and how other Christians have developed more inclusive hearts. "One of the most amazing transformations I have ever witnessed came after working with five churches and helping them understand the hurt and damage they were doing to their gay and lesbian congregates because of their lack of understanding of them. After several months of discussion with them, the group of five held a forum and openly apologized to their LGBTQ community," recalled Cheeks. The 77-year-old Carolina Missionary Baptist Church of Fort Washington, Maryland was one of those five churches. "Rainy is a miracle and a blessing to the body of Christ," proclaimed Pastor Anthony Moore of Carolina Missionary Baptist Church. The two met while ministering those with HIV. "Rainey helped me to formulate my thinking," said Moore, who urged the other four pastors to meet with Cheeks. Added Cheeks, "I think he first met me as another preacher, but had to learn to see me beyond my sexual attractions and his prejudgments." Soon they began inviting each other to speak at their respective churches. Because of our association, "I received a lot of backlash from other preachers," recalls Moore. Today, there are many Christian churches and denominations that have become "affirming," meaning that they do not consider homosexuality or transgender identity to be sins. Those affirming churches range from The Dutch Reformed Church of South Africa and the Anglican Church of Korea to the Protestant Church in the Netherlands and the Presbyterian Church (USA). Though Moore's church is not an affirming church and has not embraced marriage equality, he and Cheeks remain friends and speak highly of each other. "What we had been spewing was hateful and hurtful and it did not help the Kingdom of God. Though we have our differences, I do believe we should be able to embrace and love each other without denigrating each other," Moore explained. "We may not always agree, however we still come from a place of love," echoed Cheeks. Because of its pioneering acceptance of sexual minorities, Inner Light was often considered a "gay church," a label that Checks does not shy away from. "Yes, I did intentionally reach out to the LGBTQ community because so many people were being turned away and hurt in church because of their sexuality." After being one of the original members of the predominantly gay Unity Fellowship denomination, Inner Light is now affiliated with the United Church of Christ where many of the individual churches are affirming. However, Cheeks added, "I also like their work in social justice." To celebrate their work, on July 1, Inner Light hosted during the Sunday services Archbishop George A. Stallings of the African American Catholic Church. On July 8, they will host Reverend Barbara Breland of Lincoln Temple of Washington, D.C. ; July 15, Bishop Yvette Flunder of the City of Refuge in San Francisco, CA ; and on July 22, Reverend Audrey Price of First Congregation Church in Washington, D.C. Inner Light holds services at 1231 Good Hope Rd, SE in Washington, DC. In addition to worship services, on July 7, multi-genre singer Julia Nixon will headline a Saturday concert at First Congregational United Church of Christ, 945 G Street, NW. The concert will also feature the Oasis dance collective and gospel singer Jackson Caesar. On July 14, Flunder will install Rev. Wallace Henry as the pastor of Inner Light Ministries. Cheeks is happy to see what he terms as progress. "I have always looked at church as a place of healing for the body, mind, and soul. Jesus came to teach a message of love for God, yourself, and your neighbor - - who ever that is - - this is the theology that we live by at Inner Light Ministries," he continued. The African and African-American cuisine tasting is included in the $15 registration fee. Ebenezer African Methodist Episcopal Church in Fort Washington, Maryland will spend a weekend exploring the relationship between African people, living at home and abroad. "We will be looking at where we are as Africans and African-Americans and what we have in common with our struggles," says Mantai Murry, Vice President of Ebenezer's African/African-American Liberation Ministry. The day will include fellowship, workshops, and cultural activities for children and adults. The children's workshop will feature artwork, singing, and learning African American and African History, dramatic performances by kids performing what they have learned, and playing the African drum. Rev. Lukata Mjumbe and Rev. 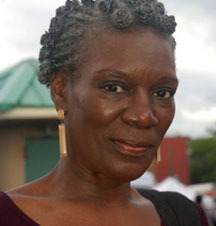 Michelle Balamani-Silvera will explore our communities in separate, consecutively held lectures. In addition to a fashion show, the event is offering a traditional African head wrap demonstration. Vendors will have an array of goods. 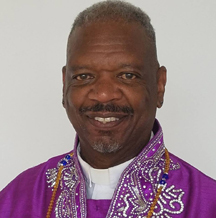 And, on Sunday July 15, says Port Of Harlem reader Pat Smith, "we will all strut in the sanctuary dressed in our African attire to be blessed by guest speakers, both African and American." Registration for the Saturday event is $15. 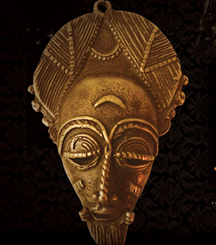 An African and African-American cuisine tasting is included in the $15 registration fee. 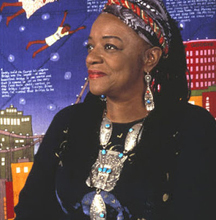 Artist Faith Ringgold will Headline National African American Quilt Convention.